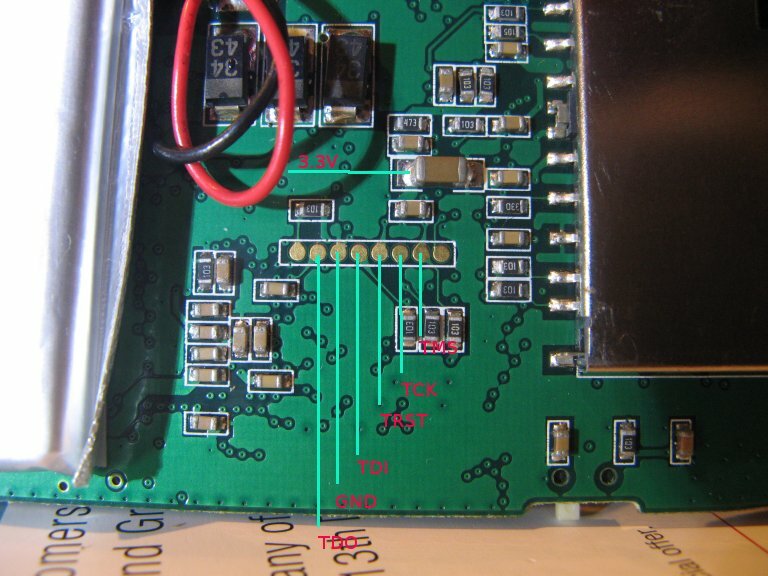 Here's an x-ray picture of the board around the area of the debug test points. 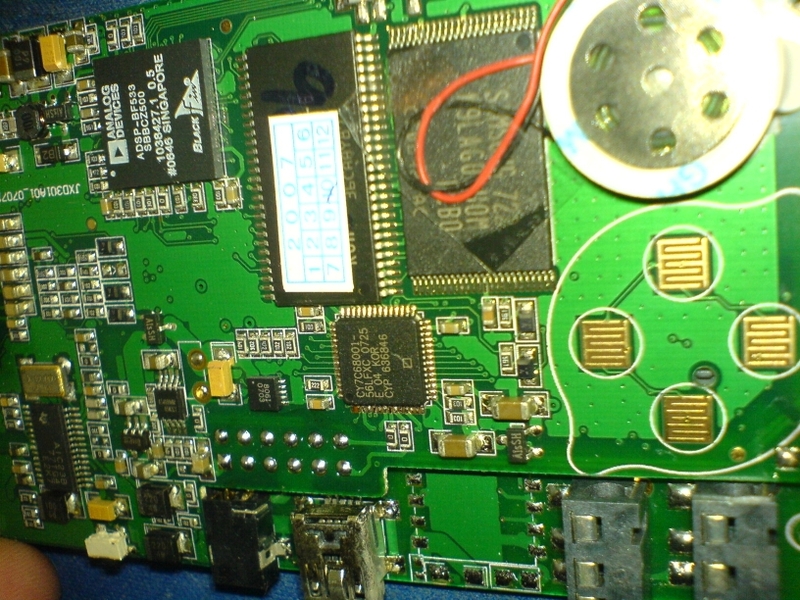 The CPU's UART signals are also in this area, but do not seem to be connected to test points. It would be really nice to find out where the UART signals go!